I fought back the tears as I signed my name on the line marked SELLER. I fought back the tears as I pressed my inky thumb in the Notary’s document book and I fought back the tears when I handed over the envelope at the Fed-Ex counter but once back in the seclusion of my own home…I gave up the fight. 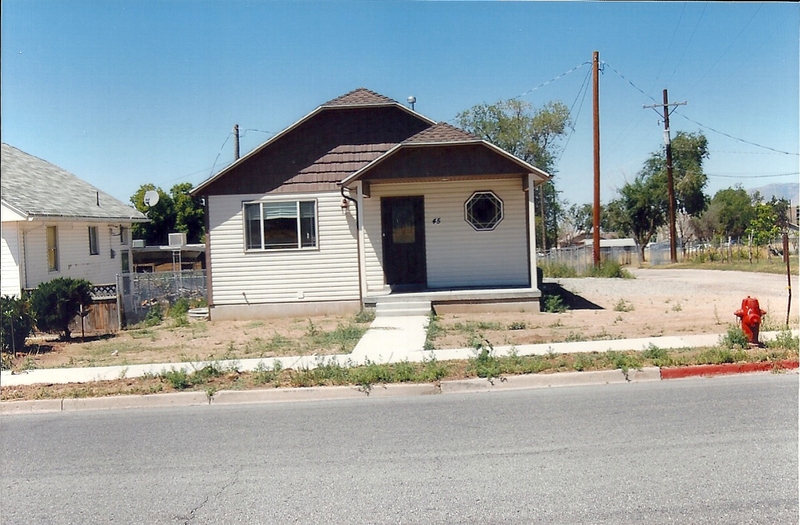 Many years ago, my mother said, “Promise me you’ll do something with the little house after I’m gone.” She was referring to her childhood home, a small house that sat on the gentle slopes of the Oquirrah Mountains in Utah. Built in the 1920s, my grandparents were its first and only owners and my mother had lived there until she left for college. The house might have been diminutive but it was always loved and well-tended. My grandmother sewed the curtains that hung in its windows and cared for the billowy hydrangea that flourished on the side of the house. I never knew my grandmother but I saw her handiwork every time my mother pulled out one of her tablecloths or quilts. I was well aware of her love for family and the elementary school children she taught. My grandfather and I, on the other hand, were great buddies. He taught me to whistle before I could talk and bought me pink corduroy overalls after watching me attempt to crawl in a dress. He called me his little giant interpreting my persistence as strength instead of what I suspect it really was… stubbornness. I loved him with all of my young heart. 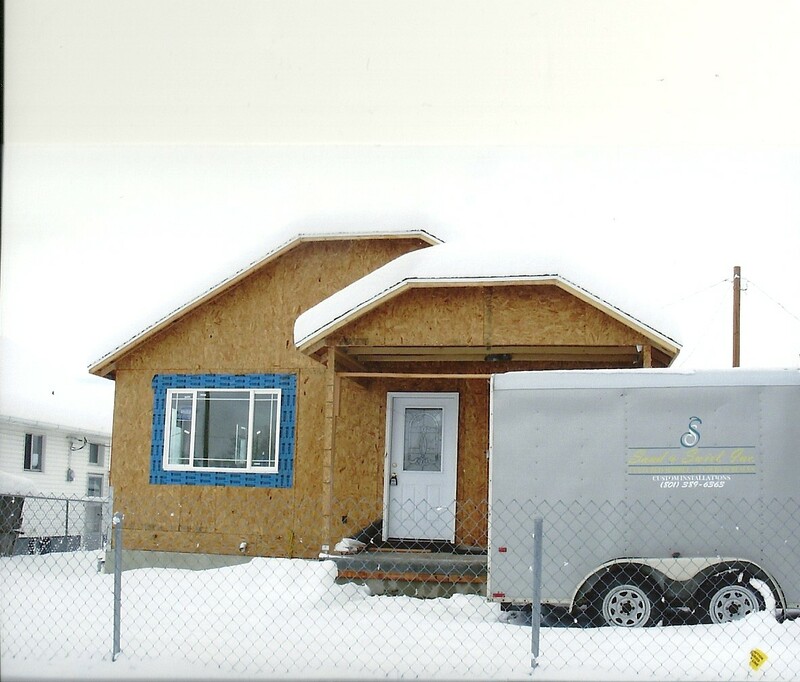 My mother’s sentimental attachment to this tiny house made it difficult for her to let it go even though being an absentee landlord, after my grandfather had passed away, had never been easy. As the little house aged, it needed more and more attention and I was well aware that it had become a concern for her. The little house in the 1920s. As parents age and roles reverse, providing support can be a challenge, but it can also provide opportunities. Opportunities that give you a chance to repay a bit of the love and support that has been demonstrated towards you, over the years. My mother had been a parent, a friend… an encourager all of my life. 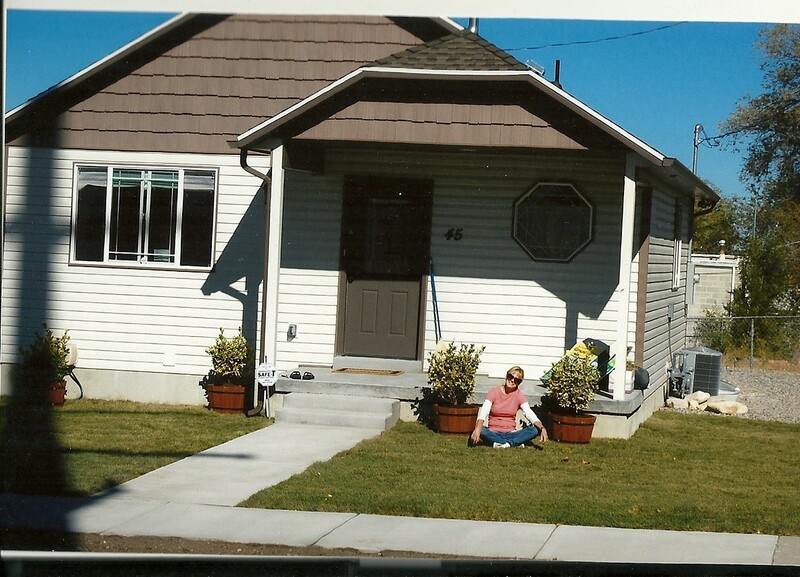 I knew that I would do everything I could to fulfill her request to take care of her childhood home. So, after her death, my husband and I headed to Utah, to determine what our first steps would be in carrying out her wishes. A dear family friend, Ken, had been acting as a rental agent and general handyman for the little house for many years. He was more than willing to help us make a list of initial repairs and actually complete some of the work himself. The process would take time as we would have to proceed in baby steps…we were both working and money would be a consideration… but it was a start. Nothing I could do would ever fill the emptiness that I felt after losing my mother but the thought of working on the little house, the house that had been the setting of so many of her cherished childhood memories, brought me immense joy. As we flew home to California, after that initial visit, I was encouraged and filled with anticipation. Upon returning home, we resumed our jobs and routines and I continued to be energized with each little step we took towards our goal. One day, I returned from work to a message from the insurance company informing me that there had been a fire in the little house. The external damage was minimal but the interior structural damage was significant. The cost of rebuilding would exceed the little house’s value so it could not be rebuilt. The insurance company would cover the cost of demolition and removal of materials. They would be in touch as to our next steps. My father had passed away when my mother was in her forties. She was such a young widow and she used to say to me, “If we can live without your father…we can live without any thing.” I knew this house was just a possession, just a thing. I diligently tried to hear her voice and have that familiar message give me solace. Logic and reason couldn’t change anything…my heart was broken. The next few weeks were a blur filled with numerous bits of information from both the insurance company and the fire department. Thank God, we were between renters, so we didn’t have the concern for human safety. The arson investigators determined there was no foul play so signing papers appeared to be all that was needed to close our case. End of story…or so it would seem. Another phone message, about two weeks later, changed everything and redirected the fate of the little house. 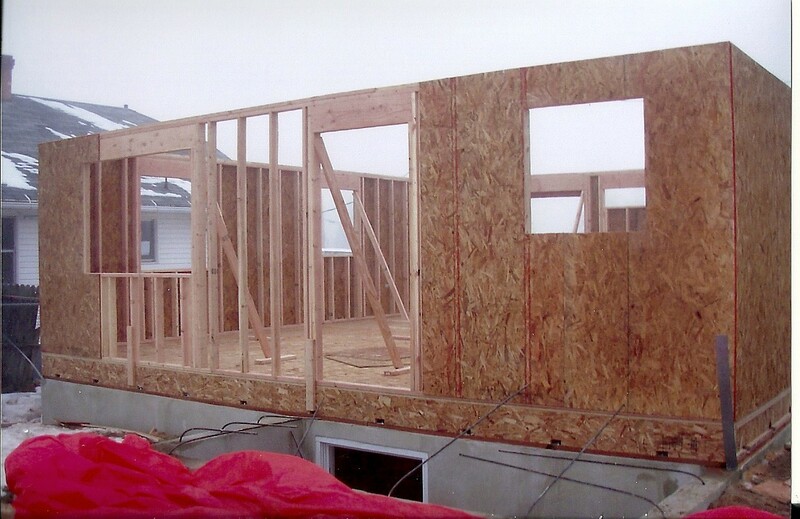 A contractor had been found that would build a new home for the insured amount. Pushing my surprise and confusion aside, I focused on preparing for a meeting where, I was assured, all the details would be discussed. Greg searched the internet for tips on working with a contractor and I prepared by gathering old pictures of the little house. I suspected that the interior of the new house might be different from the original design. After all, we didn’t need to build another coal shoot, but I hoped that the exterior could somewhat resemble that original design. It fit the neighborhood and I was still dealing with the sentimental issues. Our contractor couldn’t have been more willing to try to make my visions a reality. Sketches of the exterior of the house and blueprints went back and forth, in the mail, until we both were satisfied, and then the work began. The demolition of the little house was hard to contemplate so I chose to focus on the construction instead. It began in late fall and Ken sent pictures, regularly, as promised. 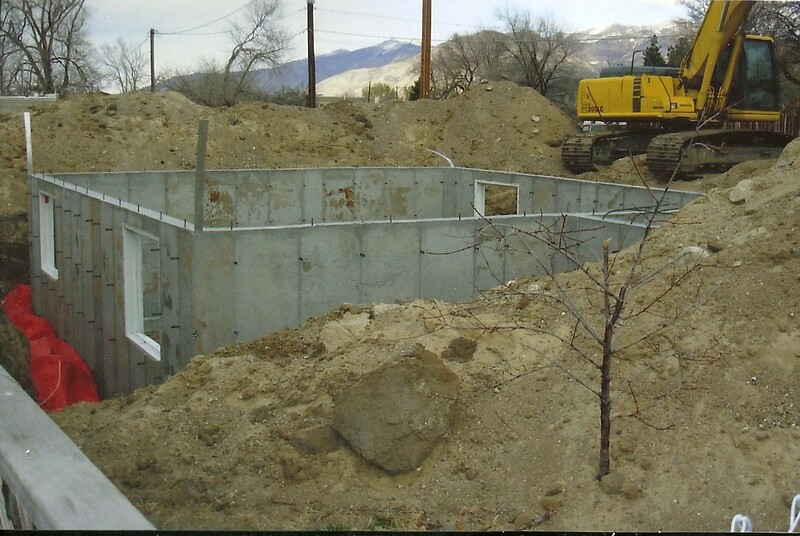 We did need a new foundation. No rebar had been used in the original. There was a little snow evident on the neighbor's roof but framing had definitely started. Work was going on inside, at this point. Brrrr! A new little house had been born! Seeing this sweet little house,completed, was overwhelming. 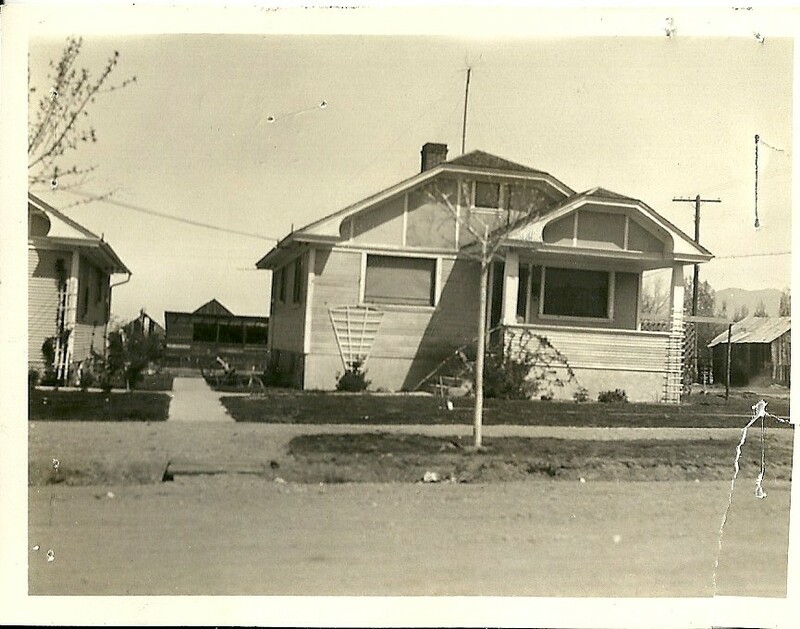 It was no longer the house my mother had grown up in but it sat in the same spot, in the same neighborhood, in the same town. I wanted to put in a front yard and then my project would be complete. The little house would be ready to sell…ready to really belong to a family, again. Greg, Ken, and I worked, that fall, putting in a sprinkler system and a lawn but I could still feel myself stalling for time. Could we hold onto the house for a year? I hoped that if we could spend just a few days, in the little house, during each of the seasons, I’d be content. Utah is a beautiful state and we enjoyed the variety and the splendor of each season…except winter. Utah had one of its harshest winters on record, that year, and we decided not to chance the drive. We returned in late spring the following year. I knew that our days, enjoying this little house and its surroundings, were numbered. I had accomplished all that I had set out to do and I knew that letting go of the little house didn’t mean I had to let go of any memories. They would go home with me, and stay with me, forever. One morning, as I looked out of the window at the grey clouds and the listened to the soft rain, I commented on our accomplishments. We had done all we had set out to do. It was all like a dream come true…a sort of little miracle. My only regret? I’d missed seeing the little house in snow. And then it happened… the rain got heavier, the sky got darker…and it started to snow. 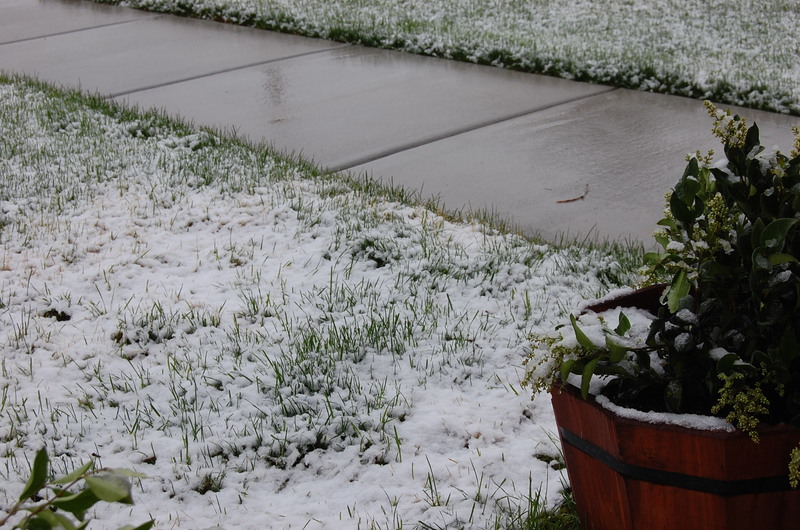 Just a light dusting at first but then heavier and heavier until snow softly blanketed the lawn. 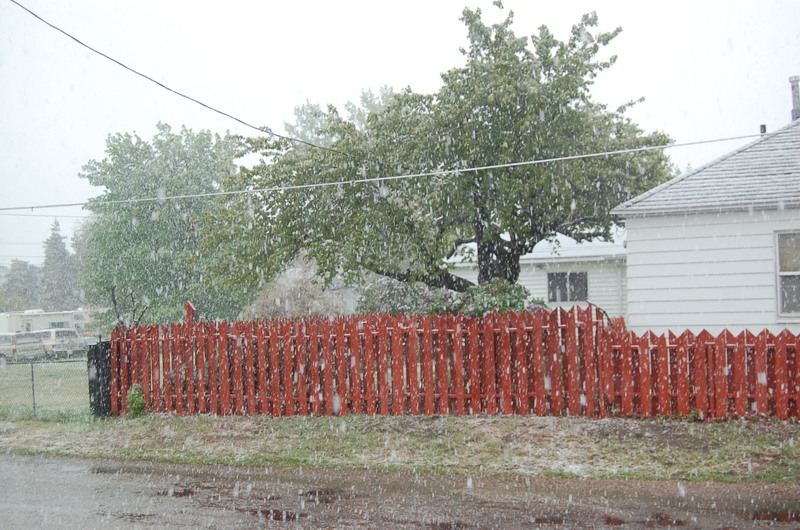 The folks in Utah probably didn’t even count it as snow, but as far as I was concerned, it was the winter I’d missed. If I had any question that I’d made the right choice to let go, to move on… I had my answer. dusting the lawn with a touch of winter in spring. The little house was only on the market for about 4 months before it sold. It was what we wanted but I still cried. My mother was a master at knowing when to lead with her head and when to lead with her heart. I always wished I had more confidence when it came to making that choice. There were numerous times during this journey when my head told me I should reconsider. Instead, I listened to my heart. I will be forever grateful that I did for it allowed me to fulfill a very special promise.